Floods wreaked havoc in Cooch Behar, South Dinajpur, North Dinajpur, Jalpaiguri, Alipurduar and Malda. Malda: West Bengal Chief Minister Mamata Banerjee on Monday visited Malda where flood fury continued amid over 50 deaths in the state since July 21. The flood situation in northern part of Bengal showed an overall improvement, barring Malda district where nearly five blocks were still inundated by the increasing water level of the Mahananda river. Floods wreaked havoc in Cooch Behar, South Dinajpur, North Dinajpur, Jalpaiguri, Alipurduar and Malda, affecting over 50 lakh people. The Chief Minister interacted with victims and assured them of relief. She also instructed district officials to deal with the disaster promptly. "This situation is due to the water level of the river," she told locals. 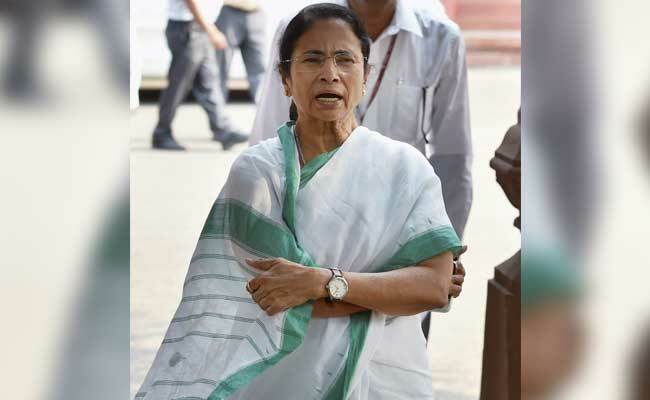 Ms Banerjee earlier alleged floods in southern West Bengal districts were "man-made" and held the Centre and the Damodar Valley Corporation (DVC) responsible for the disaster.